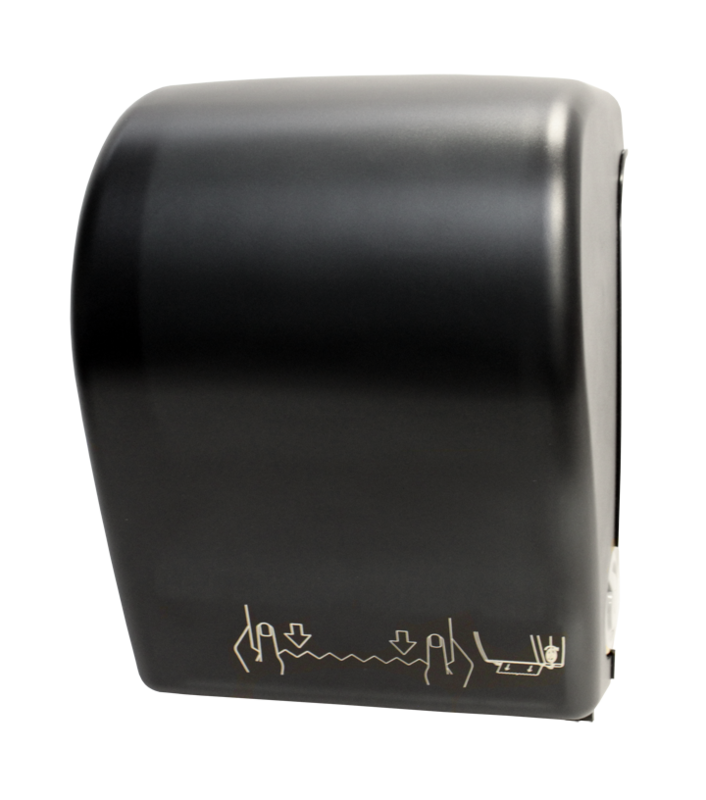 The TD0201 Hands-Free Auto-Cut Roll Towel Dispenser provides a touchless, hands-free operation with a quick, smooth paper delivery. The translucent cover allows for easy view of paper supply. The modern design is sure to compliment any decor. This unit has a double latch lock, helping to prevent vandalism and theft.